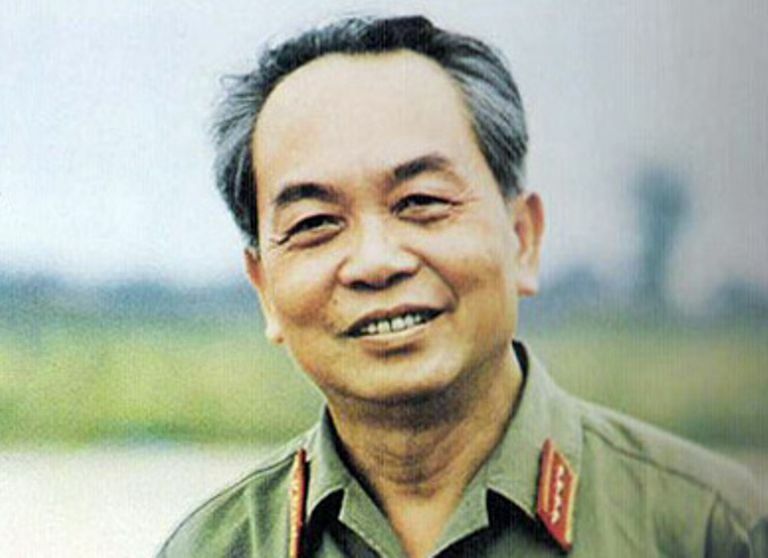 Vo Nguyen Giap (August 25, 1911–October 4, 2013) was a Vietnamese general who led the Viet Minh during the First Indochina War. He later commanded the Vietnam People's Army during the Vietnam War. Giap was the deputy prime minister of Vietnam from 1955 to 1991. Known For: Giap was a Vietnamese general who commanded the Vietnam People's Army and orchestrated the capture of Saigon. Born in the village of An Xa on August 25, 1911, Vo Nguyen Giap was the son of Võ Quang Nghiêm and Nguyễn Thị Kiên. At the age of 16, he began attending a French lycée in Hue but was expelled after two years for organizing a student strike. He later attended the University of Hanoi, where he earned degrees in political economy and law. After departing school, he taught history and worked as a journalist until he was arrested in 1930 for supporting student strikes. Released 13 months later, Giap joined the Communist Party and began protesting against French rule of Indochina. During the 1930s, he also worked as a writer for several newspapers. In 1939, Giap married fellow socialist Nguyen Thi Quang Thai. Their marriage was brief, as he was forced to flee to China later that year following the French outlawing of communism. While in exile, his wife, father, sister, and sister-in-law were arrested and executed by the French. In China, Giap joined with Ho Chi Minh, the founder of the Vietnamese Independence League (Viet Minh). Between 1944 and 1945, Giap returned to Vietnam to organize guerilla activity against the Japanese. Following the end of World War II, the Viet Minh was given authority by the Japanese to form a provisional government. In September 1945, Ho Chi Minh proclaimed the Democratic Republic of Vietnam and named Giap as his interior minister. The government was short-lived, however, as the French soon returned to take control of the area. Since the French were unwilling to recognize Ho Chi Minh's government, fighting soon broke out between the French and the Viet Minh. Given command of the Viet Minh's military, Giap soon found that his men could not defeat the better-equipped French and he ordered a withdrawal to bases in the countryside. With the victory of Mao Zedong's communist forces in China, Giap's situation improved, as he gained a new base for training his men. Over the next seven years, Giap's Viet Minh forces successfully drove the French from most of North Vietnam's rural areas; however, they were unable to take control of any of the region's towns or cities. At a stalemate, Giap began attacking into Laos, hoping to draw the French into battle on the Viet Minh's terms. With French public opinion swinging against the war, the commander in Indochina, General Henri Navarre, sought a quick victory. To accomplish this he fortified Dien Bien Phu, which was situated along the Viet Minh's supply lines to Laos. It was Navarre's goal to draw Giap into a conventional battle where he could be crushed. To deal with the new threat, Giap concentrated all of his forces around Dien Bien Phu and surrounded the French base. On March 13, 1954, his men opened fire with newly obtained Chinese guns. Surprising the French with artillery fire, the Viet Minh slowly tightened the noose around the isolated French garrison. Over the next 56 days, Giap's troops captured one French position at a time until the defenders were compelled to surrender. The victory at Dien Bien Phu effectively ended the First Indochina War. In the ensuing peace accords, the country was partitioned, and Ho Chi Minh became the leader of communist North Vietnam. In the new government, Giap served as the minister of defense and commander-in-chief of the People's Army of Vietnam. With the outbreak of hostilities with South Vietnam, and later the United States, Giap led North Vietnam's strategy and command. In 1967, Giap helped oversee the planning for the massive Tet Offensive. Giap was initially opposed to a conventional attack; he had goals that were both military and political. In addition to achieving a military victory, Giap hoped the offensive would spark an uprising in South Vietnam and show that American claims about the war's progress were wrong. While the 1968 Tet Offensive proved to be a military disaster for North Vietnam, Giap was able to achieve some of his political objectives. The offensive showed that North Vietnam was far from being defeated and significantly contributed to changing American perceptions about the conflict. Following Tet, peace talks began, and the United States ultimately withdrew from the war in 1973. Following the American departure, Giap remained in command of North Vietnamese forces and directed General Van Tien Dung and the Ho Chi Minh campaign that finally captured the South Vietnamese capital of Saigon in 1975. With Vietnam reunified under communist rule, Giap remained minister of defense. After retiring, he authored several military texts, including "People's Army, People's War" and "Big Victory, Great Task." He died on October 4, 2013, at Central Military Hospital 108 in Hanoi. Giap was much admired for his military skills, even by leaders in the West, some of whom referred to the Vietnamese general as "Red Napoleon." Giap had no formal military training; nevertheless, he was able to drive the Americans to a stalemate in Vietnam and capture the city of Saigon from the South Vietnamese. Lawrence, Mark Atwood. "The Vietnam War: a Concise International History." Oxford University Press, 2010. Warren, James A. "Giap: the General Who Defeated America in Vietnam." Palgrave Macmillan, 2013.